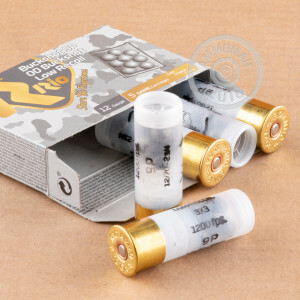 Nobody likes sore shoulders, so grab some of this low recoil Rio Royal ammo if you plan to do a lot of shooting or familiarize a new shooter with your shotgun. 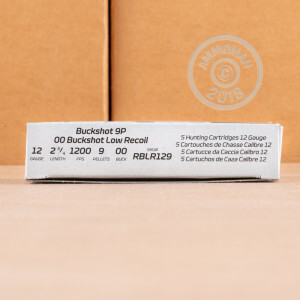 These 2-3/4" shells fire 9 pellets of 00 buck at 1,200 feet per second, producing nearly the same ballistics as "express" loads at typical shotgun ranges, but with a bit less kick. 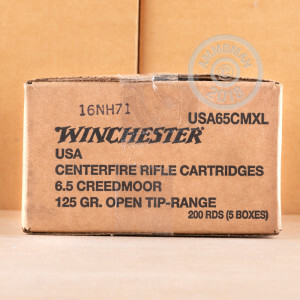 These shells come in boxes of 5, so order a large quantity to take full advantage of this load. It's suitable for hunting, home defense, or target shooting. low recoil rio royal is a great shell, it's all i use being a range shooter.